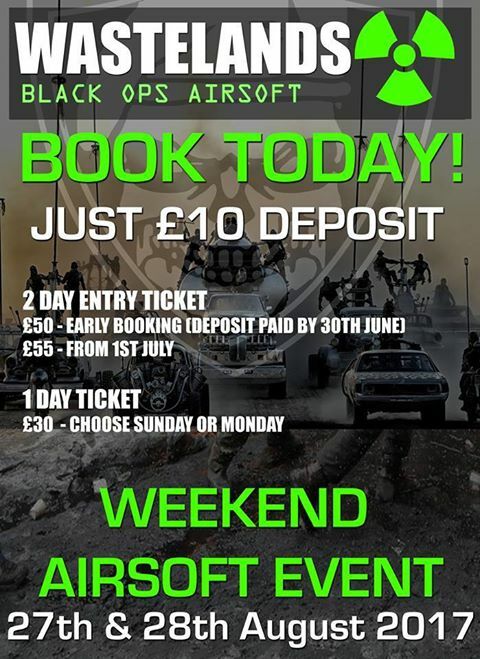 WASTELANDS – AIRSOFT WEEKENDER EVENT! 27th and 28th of August, 2017. This entry was posted in Events, Important Information, News, Walk-on and tagged 2017, airsoft, August, event, wastelands, weekend, weekender by Black Ops Mission Leader. Bookmark the permalink.